We are Manufacturers, Importers, Exporters, Traders, Wholesalers, Suppliers of Thyme Oils at shrihtrading.com. Thyme Oil is an effective oil which is used extensively, for various purposes. It is obtained from the plant through steam distillation method. 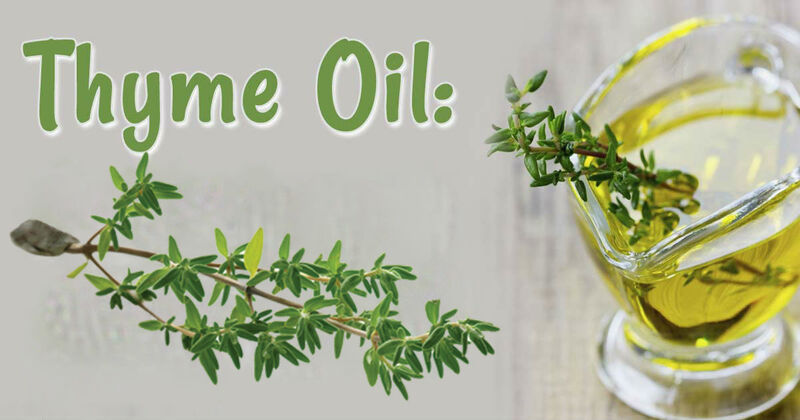 We offer high quality Thyme oil, which has many therapeutic and healing properties.Thyme oil can be used in fragrance and flavor ingredient, Aromatherapy oils, spa's oils, as an herbal Ingredient in cosmetic and medicinal Products. Thyme Oils available in best Wholesale Prices at shrihtrading.com. Call for price +91 9768051170 or Email for Price Info@shrihtrading.com.